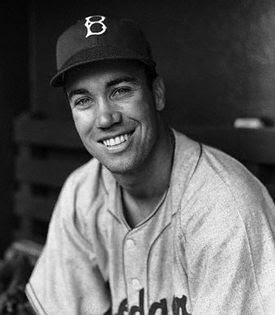 Mr. Micawber Enters The Internets: To honor Edwin Donald Snider and Dan V.
The Duke passed away a few years ago and I've always felt for a great man and ballplayer who had to share not just an era and a position but also a city with Willie Mays and Mickey Mantle. That's enough to make anyone seem like the third fiddle. I know I'm supposed to have "Eight Men Out" or Robert Coover's "The Universal Baseball Association Inc., J. Henry Waugh, Prop." included. I also enjoyed "Moneyball" by Michael Lewis and I learned a lot from it but it didn't mark my baseball soul. let me know of your favorite(s). I can't wait to get a display of baseball books up in the next couple weeks. We're getting close.